National Geographic is known for amazing visual experiences, that combine science, exploration, and adventure from around the world. 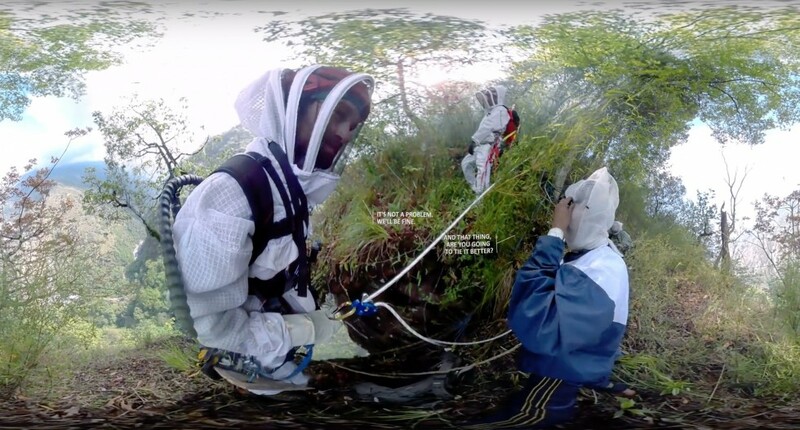 Their “360° Dangerous Honey Hunting” video is no exception. It documents a dying culture that harvests a unique honey from the steep cliff-sides of Nepal. What makes this experience all the more remarkable, were the production challenges. 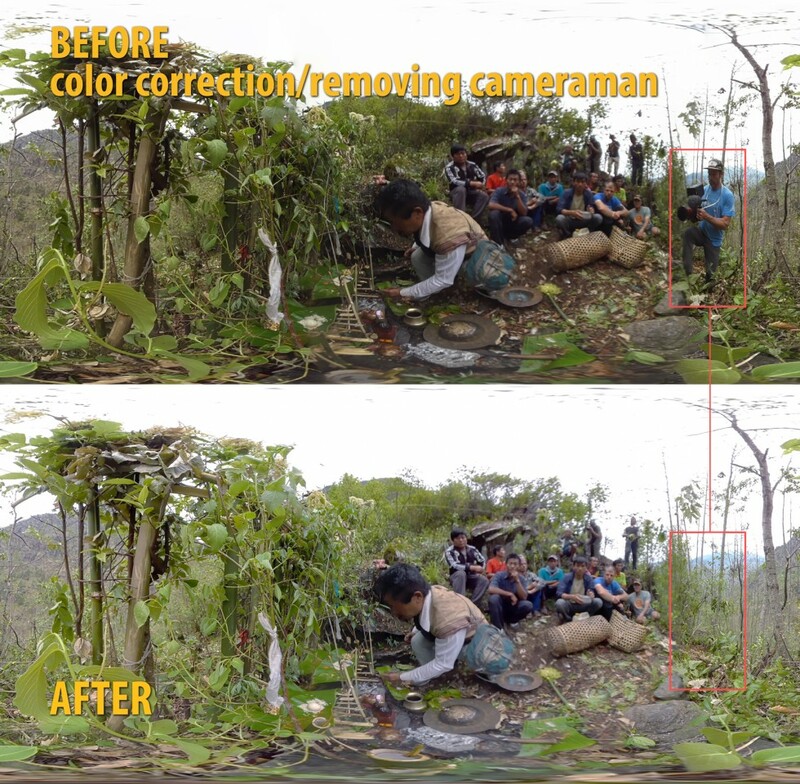 The 360° camera crew had to hang off the sides of the cliffs, along with the native honey-hunters. A technical challenge to be sure! 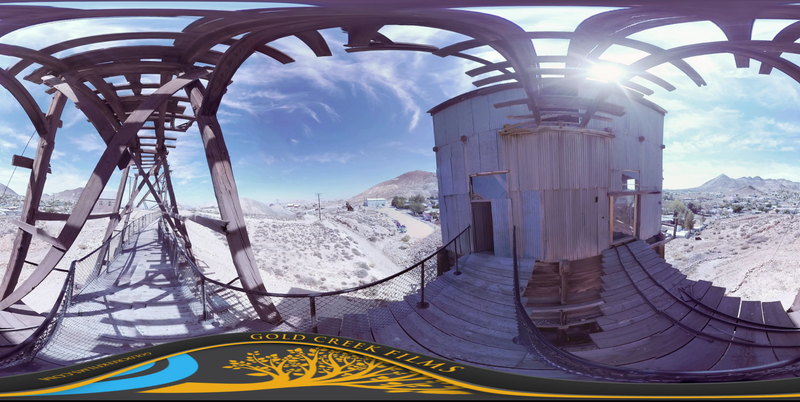 Camp4 Collective team were responsible for capturing the 360° experience, using their athletic and mountaineering talents. They worked with Walking Stick Presentations, who handled the post-production. 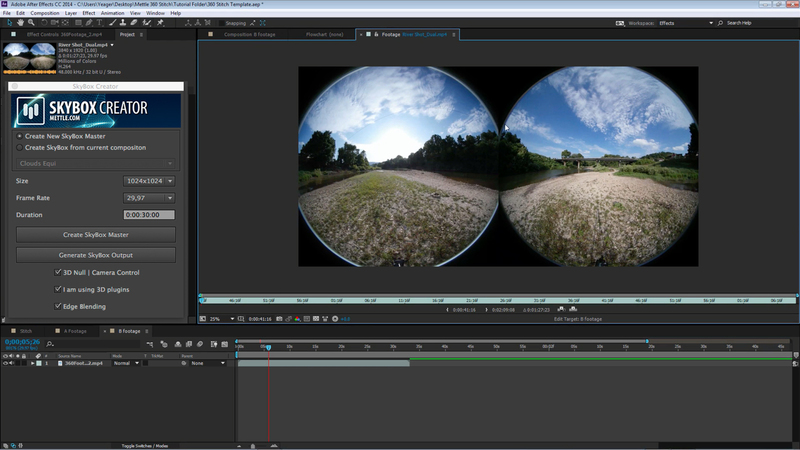 Mettle 360/VR plugins were used in post-production. 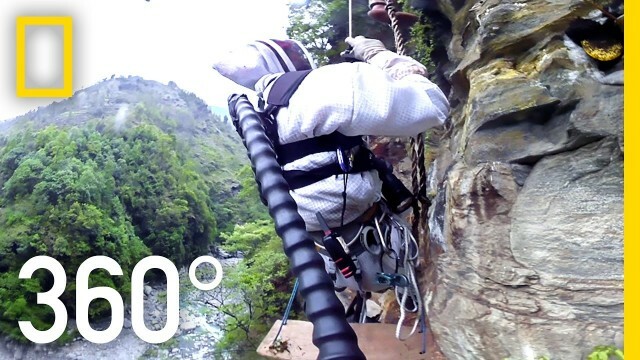 This looks like a crazy shoot – hanging off the side of a cliff. How did you plan for it? It was pretty crazy for sure. Walkingstick Presentations only worked on the post for this one, so I wasn’t lucky enough to be involved with planning the shoot. But I know there was a ton of thought and preparation that went into it by Renan and the rest of the Camp4 Collective team. As far as how they managed to get those incredible cliffside shots, that’s one of the things that makes Camp4 so innovative and unique. Whereas most of us would take a day or more to set up cranes and cables and the like, adding to the overall cost and difficulty of the project, the Camp4 guys have the athletic ability and technical experience to simply rig up and go for it using tools more commonly seen in climbing and mountaineering. What’s even more impressive is how this run and gun approach doesn’t interfere with the cinematic quality of the imagery, but rather expands it and allows them to capture things others can only dream of. 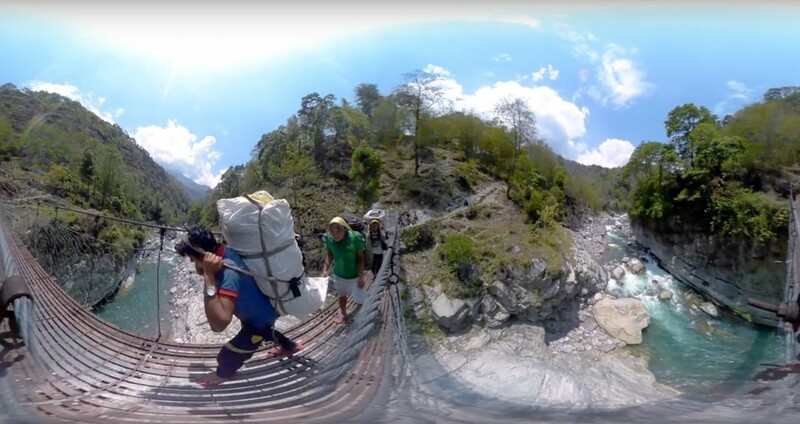 It’s quite fascinating to watch, especially in this film where it really adds to the raw sense of place and what it must be like to be there in person, hundreds of feet above the ground and surrounded by massive Himalayan Honey Bees. Pretty insane stuff. What was your overall post-production workflow? Our overall production workflow was pretty straightforward. Apart from the obvious logistical challenges of having a large amount of footage to work with, and technical challenges of camera movement on a good deal of it, the actual workflow was pretty seamless thanks to the Mettle plugins. Being able to use them directly in Premiere Pro is huge. It allows us to generate super quick and dirty rough-stitches, drop a plugin on our timeline clips, and start editing right away. It’s simply too time consuming and inefficient to master-stitch everything up-front, so being able to work from these rough-stitches and then master the portions of footage that actually make the cut saves us a substantial amount of time. Especially on this project, where our already tight deadline was pushed up by two weeks to accommodate a corresponding feature National Geographic was doing in their “Explorer” TV series. 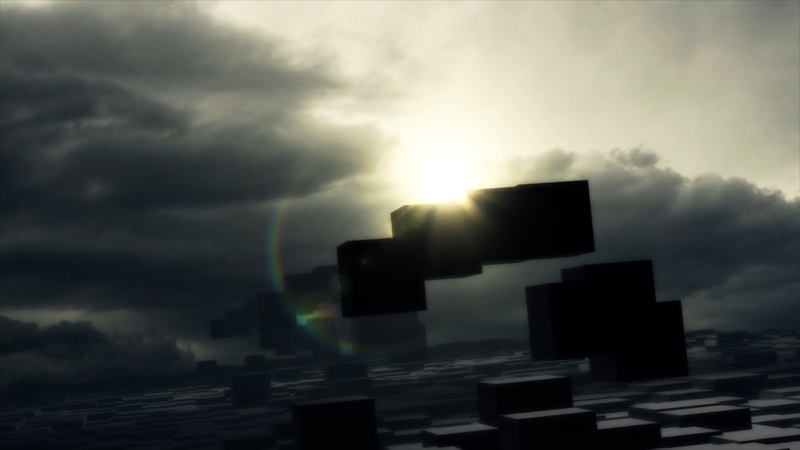 The Mettle plugins allowed us to charge through the edit, and when it got to the time of master stitching, I was able to do about a the third of the images directly in After Effects so we were able to allow our Nuke Artist, Marten Blumen, to focus on the more technically challenging shots. This is only one example of many, but long story short, Mettle made it possible for us to deliver on-time and at the highest quality. Were there any challenges collaborating with a crew that was shooting in such a remote location? It was amazing how quickly Renan, who filmed and directed the piece, was able to get back to me here in the United States. He would be in some of the most remote regions of the world and always found a way to get back to emails and the like faster than some of the people I know who are only a few blocks away. It’d be like 10 pm here and I would be shutting down ready to crack a beer thinking, it’s like 4 am where he’s at, I won’t hear from him till tomorrow, then 5 minutes later I’d have a response in my inbox with all the requested assets, etc. haha.. It wasn’t like that every email of course, it’s pretty hard to respond to emails when you’re hanging from a cliff in a bee suit, but it was pretty impressive how accessible he was and that made for a really cool collaborative environment that strengthened the film in more ways than one. 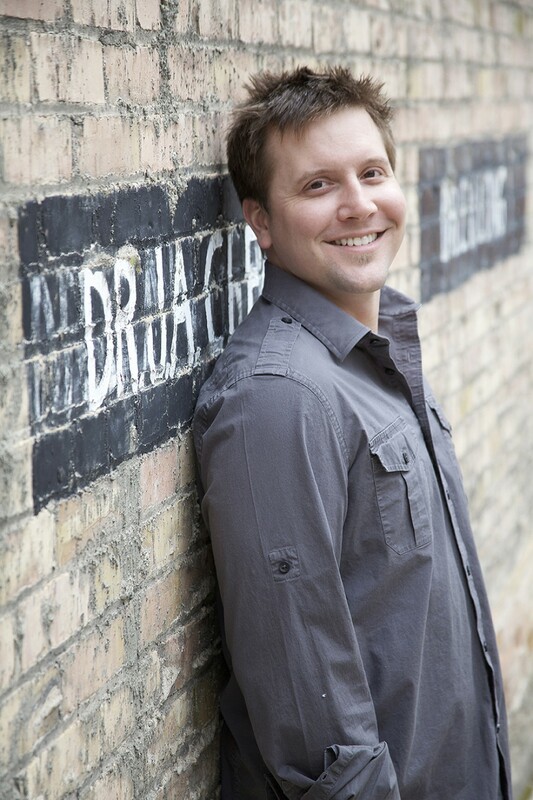 Owned and operated by Parker Fawson Jr, Walkingstick Presentations specializes in Post-production and Production services for Cinema, Television, Web, and 360° Video . They can be found online at: www.walkingstickpresentations.com, on Facebook and on Instagram. Camp4 Collective is a nimble and highly experienced group of artists who found common ground by a love for the outdoors and a really fantastic story. Collectively they produce high-end, results driven motion content for their partners. Content captured by asking questions and always pushing physical and artistic limits. Content that delivers the raw essence their subjects – whether people, places or ideas. See their work on Vimeo.